We are starting off to grow another crop. 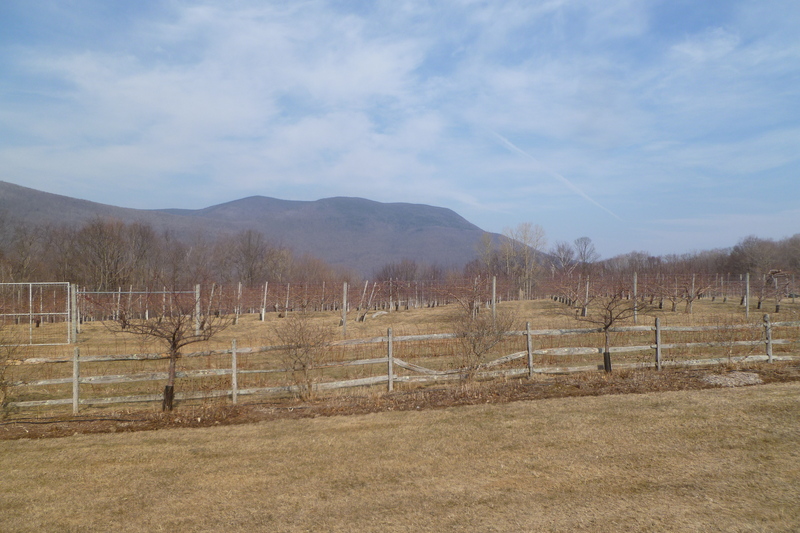 The winter so far has had very little snow – lots of up and down temperatures which is not good in general for all plants – apple buds are still tight and will be ok if they do not open too soon. We will have to see on the cherry buds which may have been frozen when it got to minus 23 degrees on Valentines Day. Raspberries may have been set back also, but there was some snow cover when it was coldest. 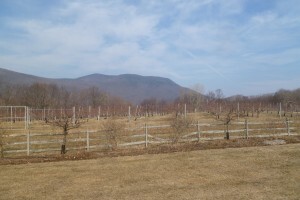 Photo taken this morning – no snow – but it makes the pruning easier. 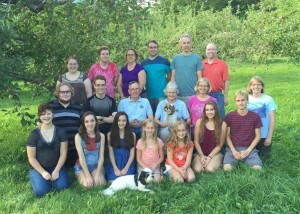 Second photo is from family celebration last summer for orchard’s 75′th birthday. Look forward to seeing folks in early July for raspberries.